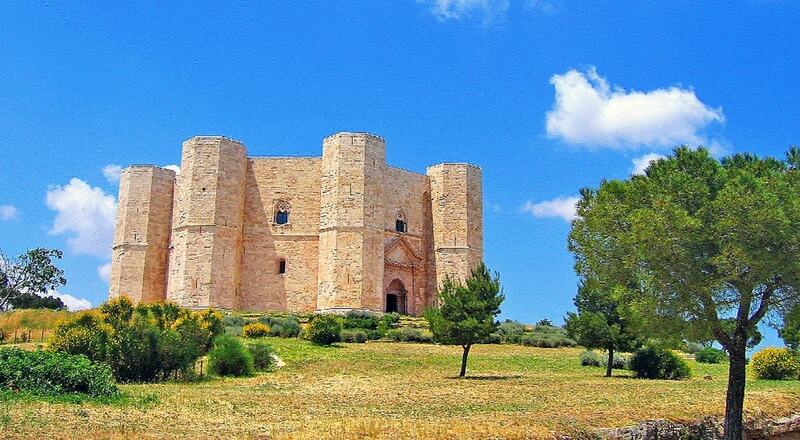 Castel del Monte is a 13th-century citadel and castle described by the Enciclopedia Italiana as "the most fascinating castle built by Emperor Frederick II". The castle has neither a moat nor a drawbridge; therefore, some considered it never to have been intended as a defensive fortress; however, archaeological work has suggested that it originally had a curtain wall. The site is protected as a World Heritage Site; moreover, the castle also appears on the Italian version of the one cent Euro coin.